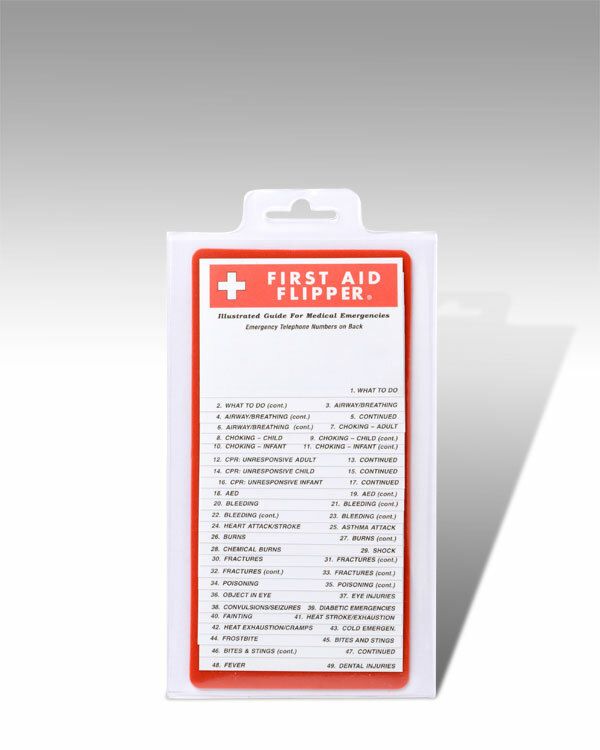 Covers all first aid, including: CPR techniques, choking, shock, burns, heart attacks, broken bones, poisoning, etc. There are 25 coated cards [4.0" X 2.75"] attached to a sturdy plastic backing. Write emergency telephone numbers on back. Comes with vinyl pouch. Overall size: 4.0" X 8.0". There are 25 coated cards [4.0" X 2.75"] attached to a sturdy plastic backing. Write emergency telephone numbers on back. Comes with vinyl pouch. Overall size: 4.25" X 8.0".